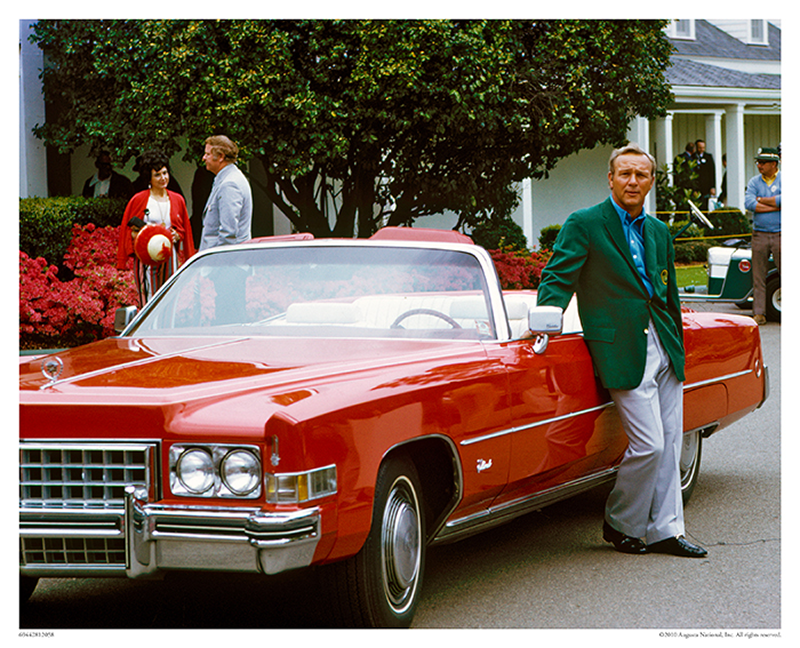 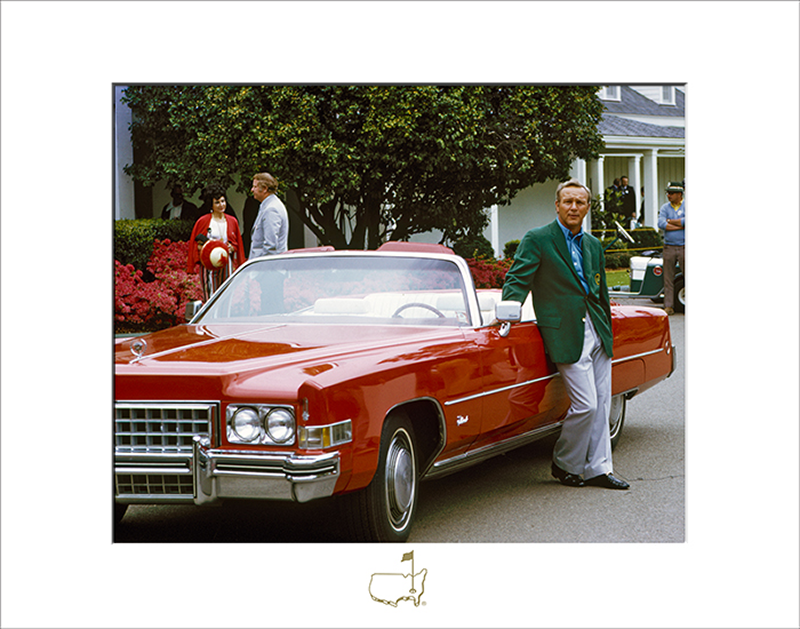 Arnold Palmer, a then four-time Masters Champion, relaxes alongside a red Cadillac convertible. 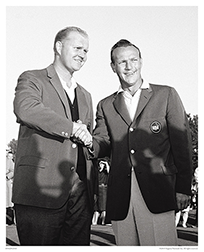 Palmer would finish the 1973 Tournament, his 19th appearance, tied for 24th. 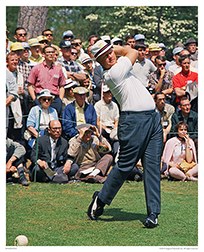 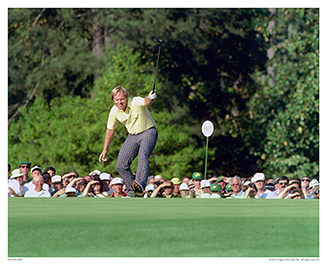 In Palmer’s record 50 consecutive starts between 1955-2004, he totaled 19 top-25 finishes. 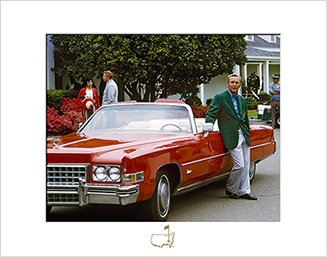 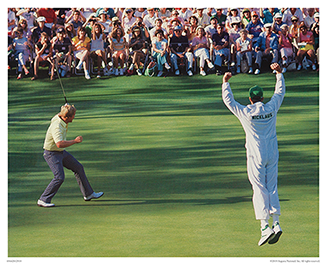 Only Gary Player has played in more Masters Tournaments, with a record 52.